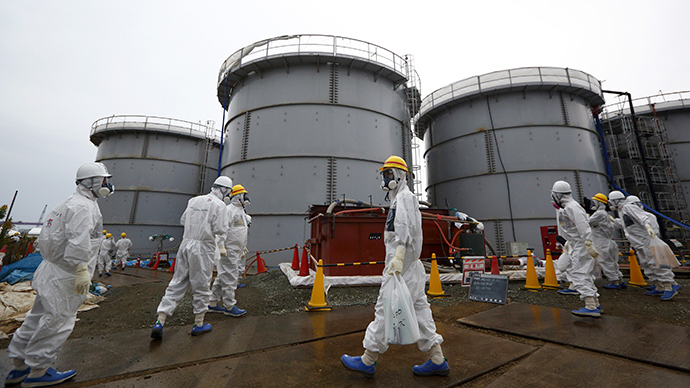 The latest report by Tokyo Electric Power Company (TEPCO) has shed more light on the 2011 Fukushima nuclear disaster, revealing a failure in one of the reactors' pressure relief systems. The new report looks into data discovered by a robot that ventured into the Fukushima Daiichi Reactor-2 building in October. It measured radiation levels at various places and studied the conditions of leakage control systems. The main focus of the investigation is the reactor's containment system, which is its last line of defense against radioactive material leakage. It is a shell built around the reactor and equipped with a system of pipes and valves to release excess pressure. It is a last-resort measure that vents radiation into the atmosphere to prevent more serious accidents. Following the March 2011 magnitude 9.0 earthquake, pressure was rising at the crippled reactor, and staff opened the valves to send excess contaminated steam through a pipe to an exhaust tower. However, the system failed. It features an element called a "rupture disk" between the valves and the exhaust pipe, which is supposed to burst under enough pressure and allow the steam through. But robot readings showed no increase in radiation levels near the disk, which means it never did burst. The TEPCO report suggests that gases from Reactor-1 flowed back into Reactor-2's system, pressuring the disk from the opposite side. Both reactors use the same exhaust pipe in their venting systems. The report's diagrams also show that only about 25 percent of the valves were found open. TEPCO, however, states that the findings are "not definitive" and more inquiries will be needed to find out exactly what happened. TEPCO, the Fukushima plant operator, has used 16 robots to explore the crippled plant to date, from military models to radiation-resistant multi-segmented snake-like devices that can fit through a small pipe. However, even the toughest models are having trouble weathering the deadly radiation levels: the latest robot sent into Reactor-1 broke down three hours into its planned 10-hour foray. TEPCO is now on a lengthy mission to clean up the consequences of the March 2011 disaster, when an earthquake damaged the plant, causing several explosions and meltdowns and contaminating the surrounding area. The company also hopes to use the experience to improve safety at its Kashiwazaki-Kariwa nuclear plant to restart operations there. Kashiwazaki-Kariwa was shut down following the Fukushima disaster.